This year at the PIP Christmas concert we are singing a song by Alvin and the Chipmunks. Do you know Alvin and the Chipmunks? The Chipmunks are an animated music group that was created in 1958. They have appeared on many music records, and in televison shows and feature films. When I was a little boy, I used to watch them on TV all the time. 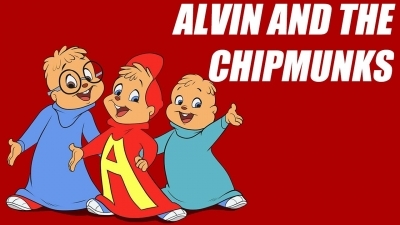 The Chipmunks are three brothers, Alvin, Simon and Theodore. Alvin is a mischievous troublemaker but charming and funny. Simon is smart. He is the responsible brother that tries to get Alvin out of trouble. Theodore is the youngest brother and very innocent and trusting. The Chipmunks play instruments and sing vocal harmonies. They have funny voices. Their voices are sped up to create very high-pitched sounds. It is fun to listen to. You can pretend to sound like a chipmunk when you listen to their records. The song we are singing for the Christmas concert is "The Chipmunk Song (Christmas Don't Be Late.)" Please listen to it if you have time. I'm sure you will enjoy it!